I woke up, laying somewhere in the middle of nowhere on a freeway at east-bound I-80. The night is peaceful; it is cool, but also filled with red misty fogs as it glinted from the crimson moon... There is nothing much more frightening than the end of the world apocalypse. 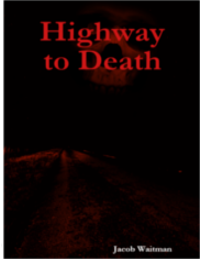 In this first out of the two book serialize novellas, Devin Deschain and his friends must travel to Hell, Michigan only to discover this is a place where the evil speaks... Jacob Waitman takes you into a nightmarish world where all there seem to be left is hope.